Overview: The time has come to make a choice. To make a stand. 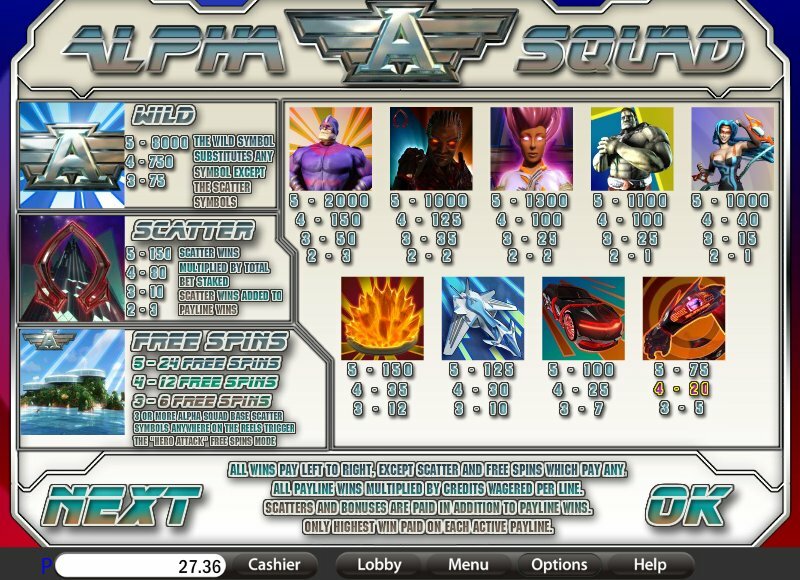 Fight on the side of Captain Shockwave and the Alpha Squad as they take on the Omega Syndicate. It's all out action, an adventure and clash of two major forces in the ultimate showdown! What are you waiting for? Get your uniform, grab your battle plan and go, go, go! WIN UP TO 120,000 COINS AND UP TO 24 FREE SPINS ON THIS 15 COIN, 30 LINE WILD VIDEO SLOT! 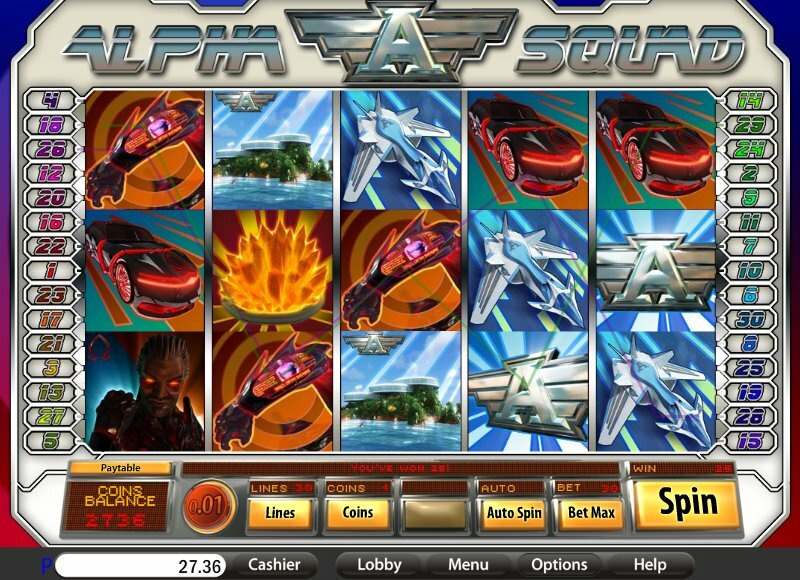 Similar Slots: If you like Alpha Squad, you might like these other slot machines from Saucify: Buckin' Bronco$, City of Gold, Cosmopolitan, Lucky Leprechauns, Peek Physique, Pina Nevada.